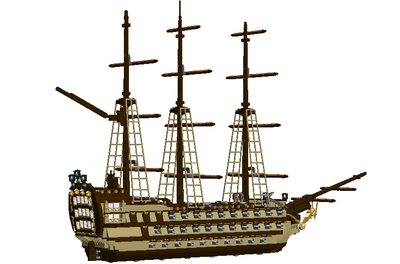 It had been a longtime dream of my childhood to design and build a great flagship (frigate). 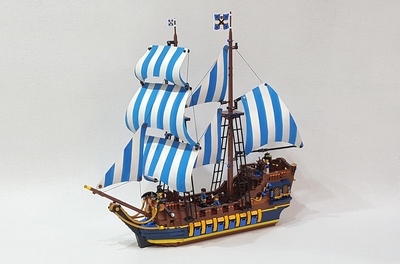 I wanted to align the design with the Lego ships from 1989-1996. However, I also wanted to use the newer bricks and to find a good balance between old and new. 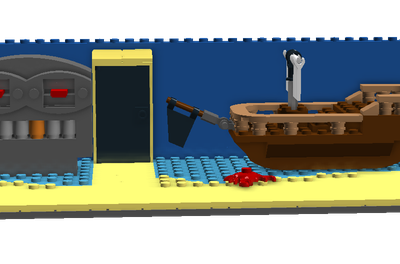 The final goal was to create every part of the ship so precise, like a Lego model and make it modular to be able to see the details inside. Its size is 35.8” (91 cm) x 26.8” (68 cm) and it consists of almost 3000 pieces. It includes 10 minifigures, two pigs, two doggies, a shark and a monkey. I designed a kitchen, the canon lines, a prison and a captains room in the body of the ship. 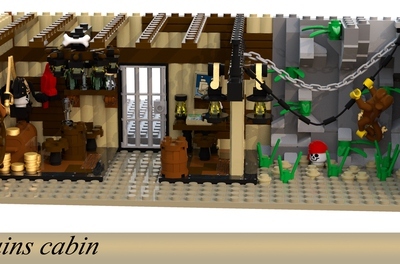 To make it more realistic, I covered the floor with brown bricks, and created a furniture style in the captain’s room with the same brown and black colour combination. This was my pet project started in 2017 and it took more than a year to finish it. 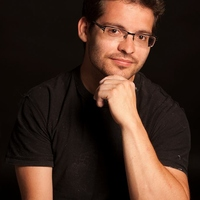 Therefore, I am really happy now to share these images.